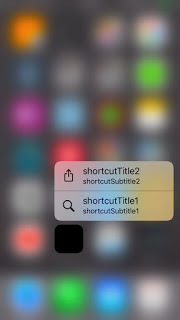 Continuing from the previous post; once you have the UI defined - we need to be able to handle that the app is launched by pressing one of the UIApplicationShortcutItems instead of conventional icon click. 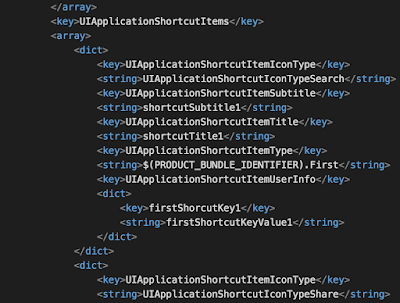 The key to detecting this in the app is the appDelegate class (the startup class). As you might remember from part 1, we gave the shortcutItems a unique type (a unique string). These strings are used to identify to the app what shortcut item has been pressed. As seen from the below image - the first thing when the app is launched is to check the launchOptions argument. 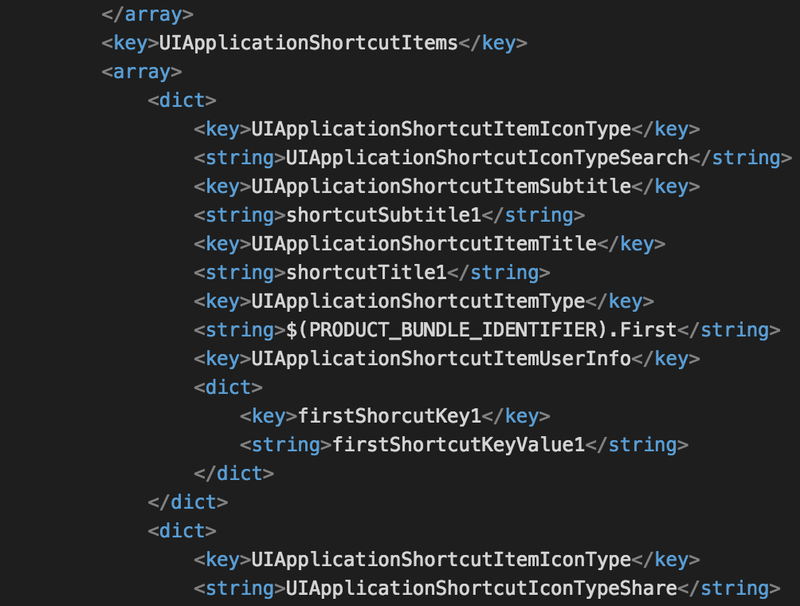 If it is possible to cast that as a UIApplicationShortcutItem - we have been launched from such UISchortcutItem. The next thing is to determine which item (item1 or item 2) has been used to launch the app. In my sample app - the startup viewcontroller as seen below is a TabbarController that normally would start the left hand child viewcontroller (Network Info) as this has index = 0 (default). Therefore I can just set the selectedIndex on the tabbarController as seen in the code above. This will allow me to either select the Network Info or Cell Info tab. All from the UIShortcutItem. 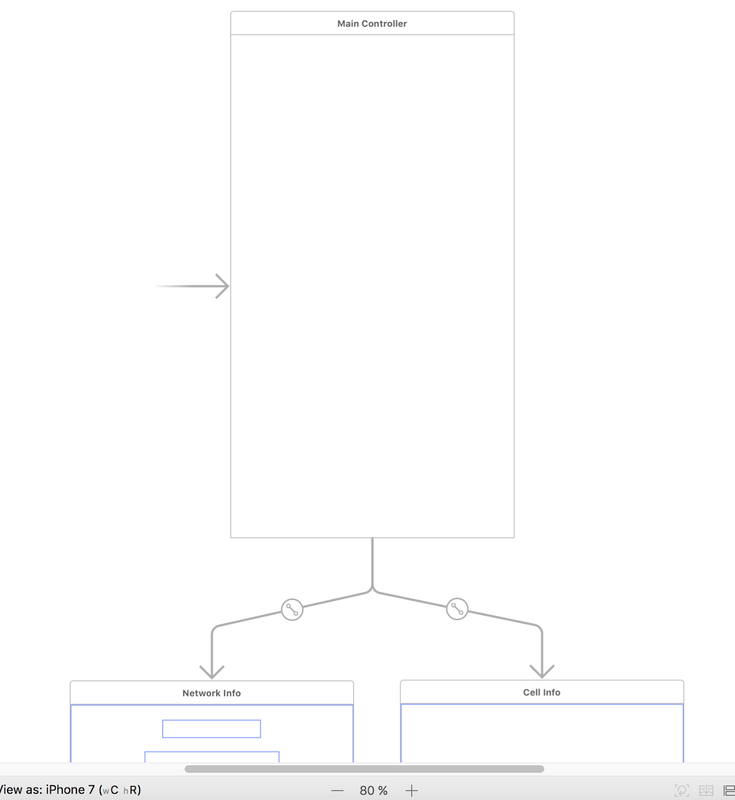 The ability to accelerate a users interaction with your app by the virtue of ForceTouch - has proven surprisingly useful to me and I’ve decided to investigate how that is achieved. As this is a fairly large topic - it has been broken down into 2 separate posts. The first one (this post) addresses the UI declaration. The second post will address the code behind the UI-items. First of - how do you define the support? You need to define a new entry in the custom section of your info.plist file (that ultimately will render in your project settings). To my surprise - this was actually not an entry that comes up in the drop down list when adding a new row. But, luckily you are allowed to add it by hand (just type the name). 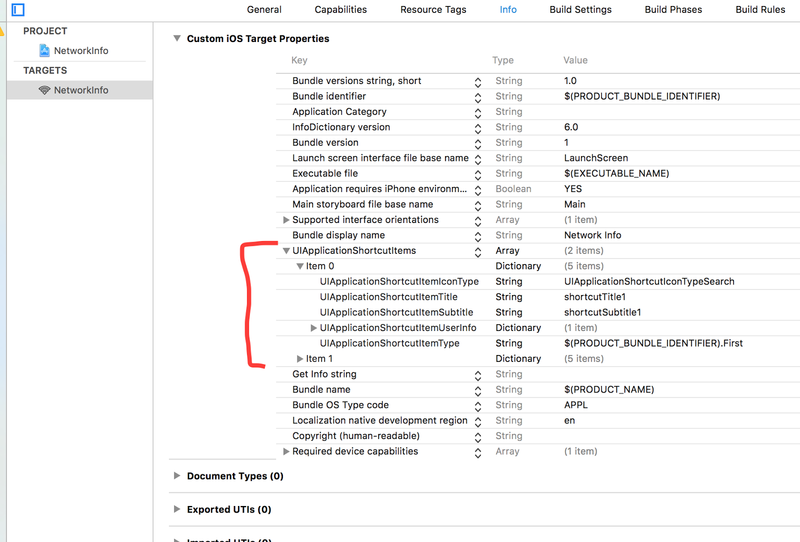 Select the info.plist file in the project navigation window. 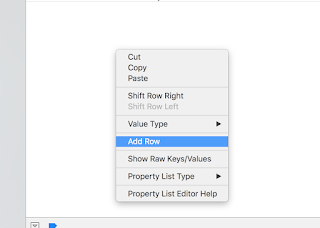 To add the dictionary items to the array - you can do so using the Xcode editor or using a conventional text editor (he plist file is just an xml-file). Finally - as you can see from the below images the entries in the plist file will give you the UI. 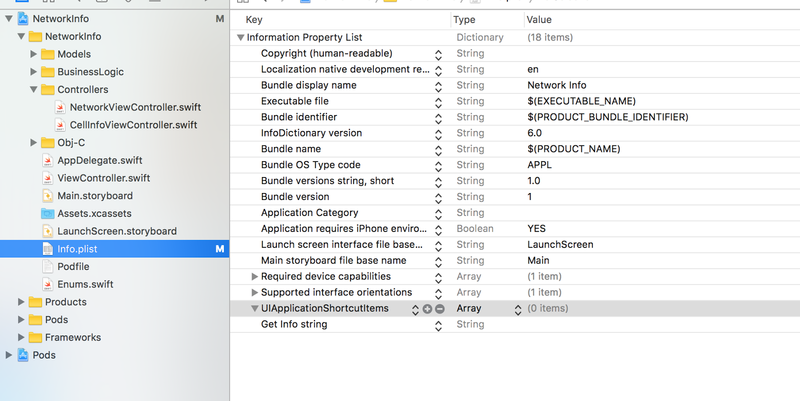 All 3 elements in each dictionary should be there - the one connecting the dots between UI and code is the UIApplicationShortcutItemType value. This must be unique. Conventionally, this is achieved by combining the bundleID with a string (in the below example ".First" or ".Second"). I recently was given the opportunity to revisit Func<T> and Expression<T>. These things can become extremely complex and almost impossible to understand or read. So if you are as confused as I was when starting this here is how the Expression<T> vs. Func<T> relates. Just bear in mind that you rarely want to deal with Expressions. Given the circumstances I was unfortunately forced to as I was hooking into an existing query expression. So - an Expression is actually not a method that can execute in its own right. An Expression is merely meta-data about a function that can be compiled and then executed. A Function is executable code that you can call and use directly. Looking at the example below - you will find a Func<int> (line 12) and an Expression<Func<int>> (line 13). Both return an integer of the value 10. The function can be executed directly by calling .invoke() (line 21) whereas the Expression first need to see a compilation (line 22) and then an invocation. In other words - the expression is actually as the name suggests just an “expression” (a statement) about a future method (function) that it can be compiled into. Then, and only then can it (the compiled function) be used. Need I say again - you do not need to deal with Expressions…? 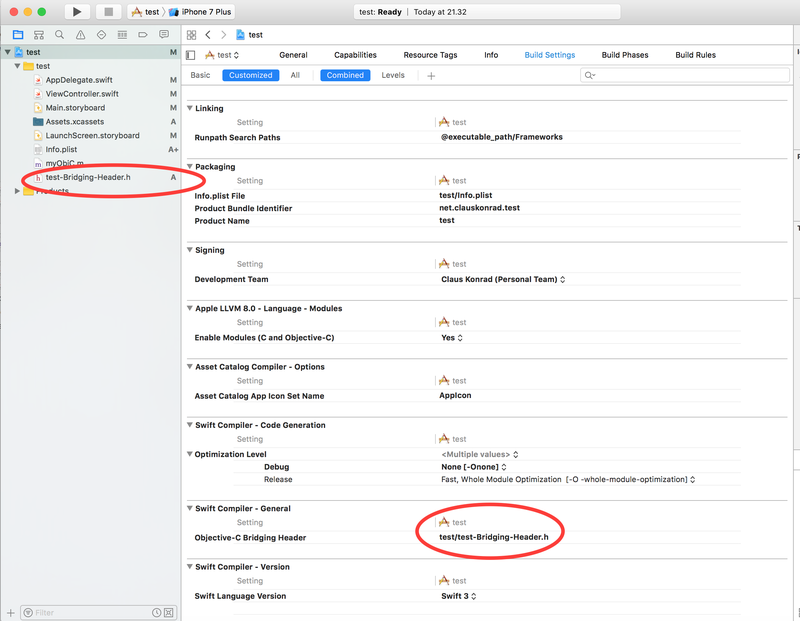 If you forget where to reference that bridge-header file from your Swift project settings - here is where to put it. The bridge file (*bridging-header.h) goes anywhere in your project structure (project view!) and the reference is put under Swift Compiler as seen below. 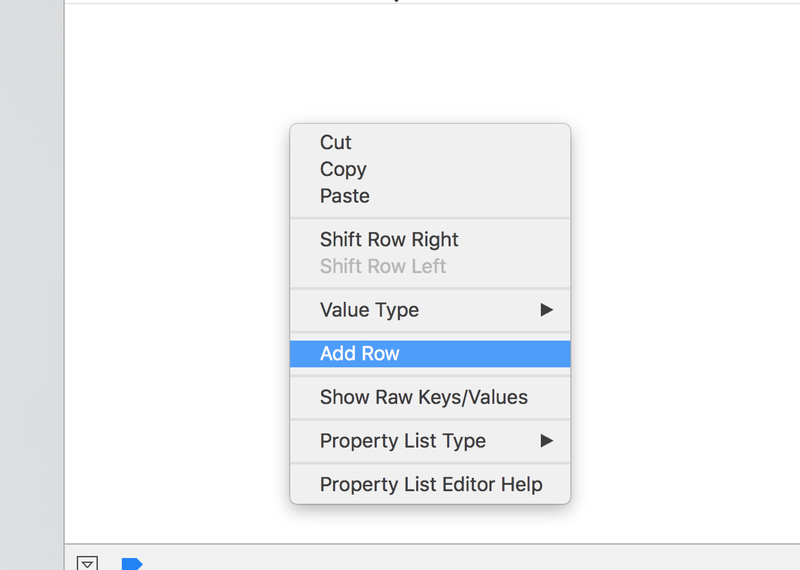 PS: XCode will actually do this automatically during creation, but if you as I did missed that step - you are left to your own devices. Cocoapods pod install takes forever? Still - it does take forever; you are just more informed about what’s going on on the machine. So - if you see this error dialogue when starting the admin part of EpiServer; you most likely are not having your webserver configured correctly (as the error suggest ;-)). To reflect updates to the database - the system is using websockets to communicate that to the webclient rendering the administration website. Therefore - this is due to a missing WebSocket configuration/installation on the webserver (IIS). To remedy this open Programs and Features on Windows (Server or Client) and add WebSocket as seen below.